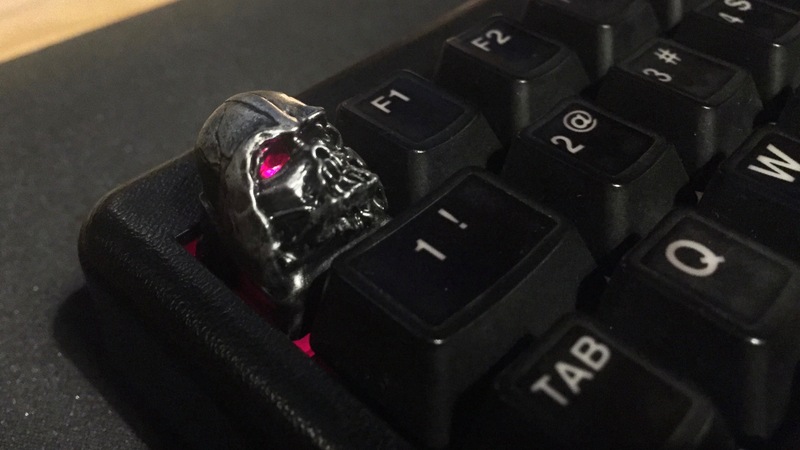 A month ago I was fortunate enough to get in on the very short (a matter of hours) group buy on Massdrop for the Lord Vader artisan keycap. 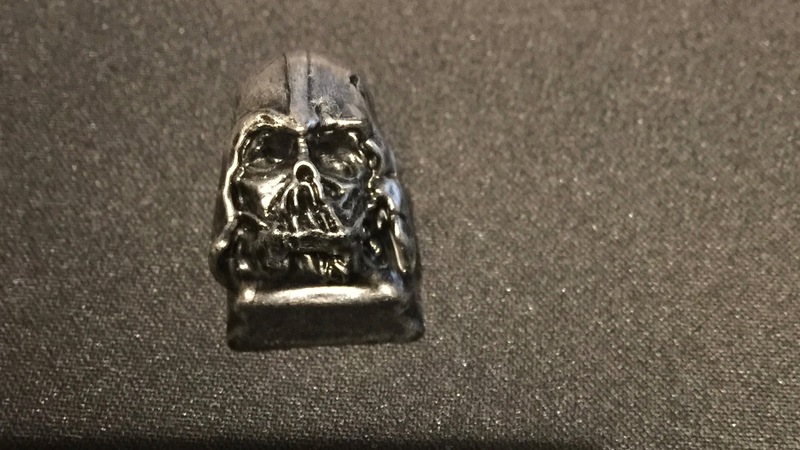 Clearly it references Darth Vader’s melted helmet as seen in The Force Awkakens. I couldn’t not have it. 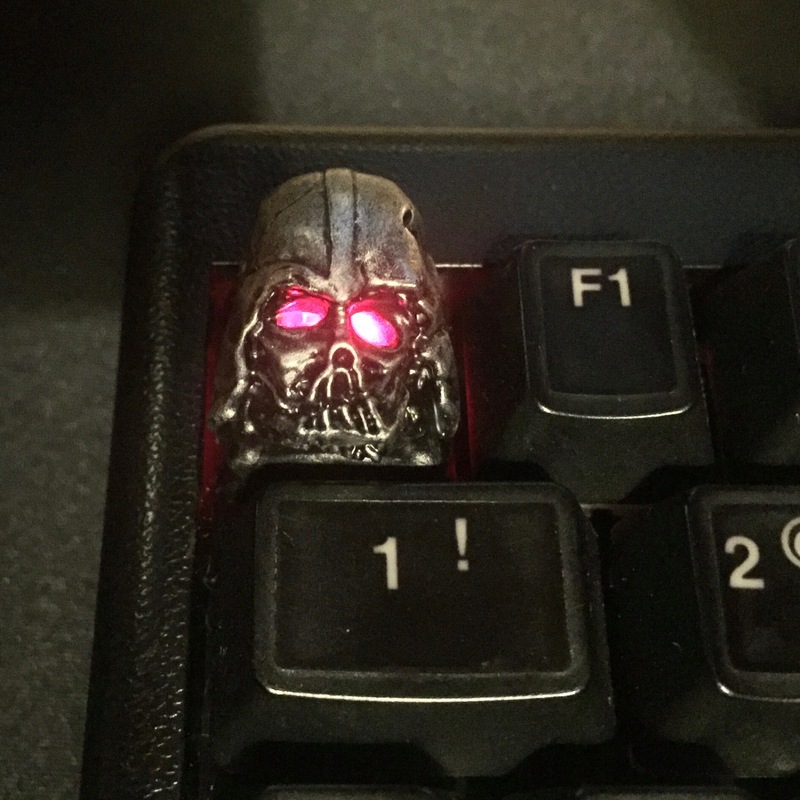 The keycap, made by Geekhack’s HiddenPower is beautifully crafted. I opted for the keycap in a weathered finish. Also available were glossy, and gunmetal finishes. Only 300 of these ran in that buy. As of this writing 1511 people have requested a second drop, so I’m sure there will be another buy for these sooner rather than later. The cap is beautifully detailed and stays very true to its silver screen inspiration. 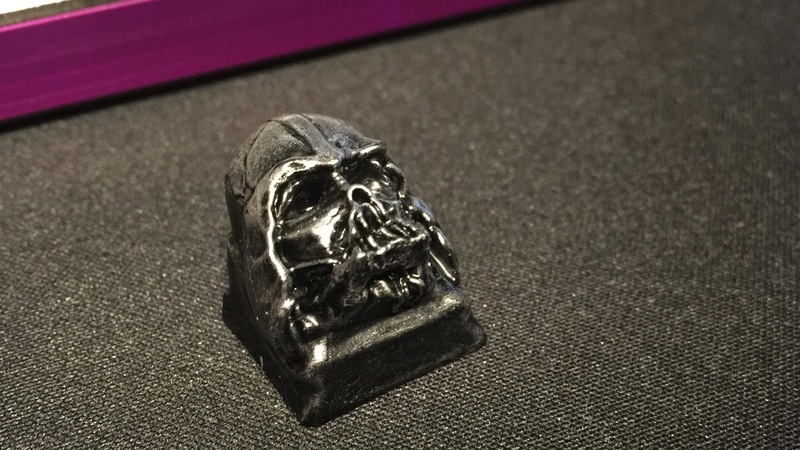 It is immaculately casted of polyurethane, and allows backlighting to shine through Lord Vader’s eyes. The work here is just stellar. 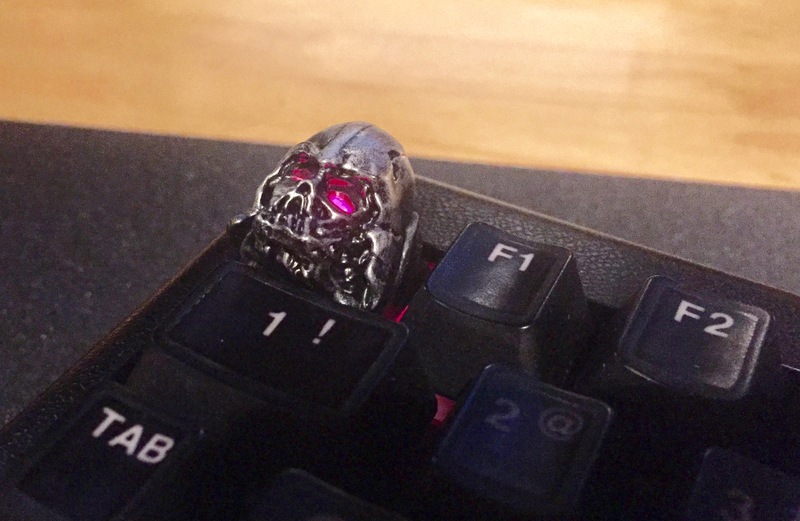 There has been a rash lately of artisan keycaps that are if anything, over detailed. HiddenPower brings us a cap that has fantastic detail and nuance without allowing it to become too detailed or risking a poor looking cast job. This is exceptional work. I’m especially impressed by the casting quality for the underside of the cap. A lot of artisans’ work here looks quite rough and unfinished - not that it matters too much, as long as a cap can fit well on its mount the underside appearance is irrelevant. Despite the unimportance of it, the casting is very very well done here. 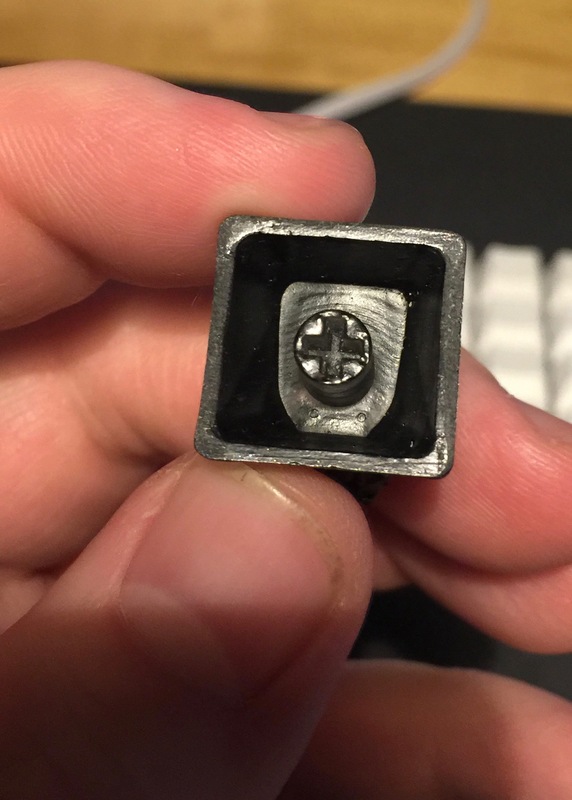 I don’t think I’ve seen a small-run artisan cap that looks this good from the underside. What really brings this cap alive is backlighting. While I’m typically not a fan of backlighting (it often feels overdone and useless to me) it is crucial with a cap like this. I do have one board on hand with backlighting: a modified TG3 Data911 (albiet with most of the LEDs removed.) This cap just looks PHENOMENAL on that board. Needless to say, I’m very pleased with this cap, and I’ll definitely keep an eye on any future works from HiddenPower.